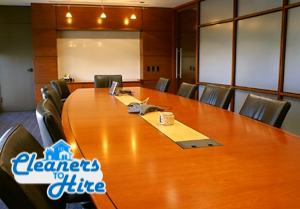 Nine out of ten offices/commercial establishments don’t really have the time or means to clean their premises themselves, and rightfully so – running a business effectively is a full on commitment which requires undivided attention and long hours of effort. For many businesses though, maintaining a sanitised working environment is more than just a necessity but a compulsory, law imposed requirement. We are well aware of this and in order to meet those demanding needs in the best possible way, we offer a professional office maintenance service delivering consistent, high quality results and perfect hygiene where it is needed most. A clean and sanitised workplace not only speaks well of its owners/managers, but also shows respect toward staff, customers and business partners. Maintaining a healthy workplace environment will boost productivity and raise staff motivation so don’t underestimate the importance of a tidied up office as it might just be the way to close that next deal, or meet that long set target. The requirements of the average business or commercial establishment are anything but average (take our word for it – they are not). Because of this we have designed a thorough, highly efficient maintenance service which deals with all general and specialised requirements of the business. The process covers all common use areas such as lunch/break rooms, staff kitchen, wet rooms, hallways etc. The service can be made to include desks/workstations, certain pieces of equipment such as exterior of computers, copiers etc. The teams can also deal with other hygiene issues like window cleaning (mostly interior), dusting and wiping down filing cabinets and other equipment. 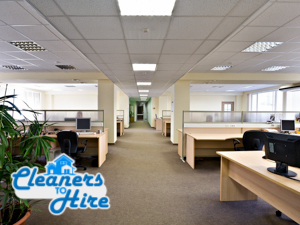 Our office maintenance service is carried out by diligent, well organised and highly skilled commercial cleaners who know their work inside out. The teams handle their duties with professional precision and efficiency, without allowing for any errors or delays. The process itself will be conducted and completed in the most unobtrusive way, without any unnecessary disruption to work going on. Our Staff is trained to use professional grade, industry certified detergents and equipment, considered to be the best in London, in order to yield exceptional quality results fast, and without risk of damage or error. We can send our professional staff out of business hours such as evenings, early mornings or weekends and bank holidays. The service is also available on regular basis – a versatile and efficient way to keep the workplace fresh at all times without having to worry about anything. The frequency and duration of the visits depends entirely on customer preferences and availability. Generally, we do weekly, fortnightly or monthly visits, however daily appointments can also be arranged for. The service is a cost efficient solution which shouldn’t put a strain on your company budget. Customised quotes and flexible pricing are supplied to all customers.